Markus Zahn is the Thomas and Gerd Perkins Professor of Electrical Engineering at MIT since 2000 and is Director of the VI-A Internship Program since 1994, a cooperative work/study program with industry. 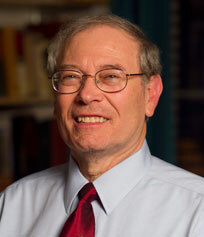 He received all his education at MIT in the Department of Electrical Engineering from 1964-70. He then became a professor in the Department of Electrical Engineering at the University of Florida, Gainesville until 1980 when he joined the MIT faculty. He works in the Research Laboratory of Electronics MIT Laboratory for Electromagnetic and Electronic Systems and High Voltage Research Laboratory where he does research on electromagnetic field interactions with materials and devices. He has received numerous awards for excellence in teaching and he is a Fellow of the IEEE for "contributions to the understanding of the effects of space charge and flow electrification on the conduction and breakdown properties of dielectrics". He is the author of “Electromagnetic Field Theory: A Problem Solving Approach” first published in 1979 by John Wiley & Sons, and republished by Krieger Publishing Company in 1987 and 2003. He co-developed with James R. Melcher a set of educational videotapes on Demonstrations of Electromagnetic Fields and Energy for enriched teaching of electromagnetism. His fields of research and interest include electro-optical field and charge mapping measurements; high-voltage charge transport and breakdown phenomena in dielectrics; flow electrification phenomena in electric power apparatus; development of capacitive and inductive sensors for measuring profiles of dielectric, conduction, and magnetic properties of media including applications to measurements of physical properties such as moisture diffusion into transformer oil and pressboard insulation, and also for detection of buried dielectric, magnetic, and conducting devices such as land mines; and electrohydrodynamic, electrokinetic, and ferrohydrodynamic interactions with charged, polarizable, and magnetic fluids.